1 in 4 people in the UK will experience some form of mental distress. Come have an uplifting chat, get information and beat that stress! 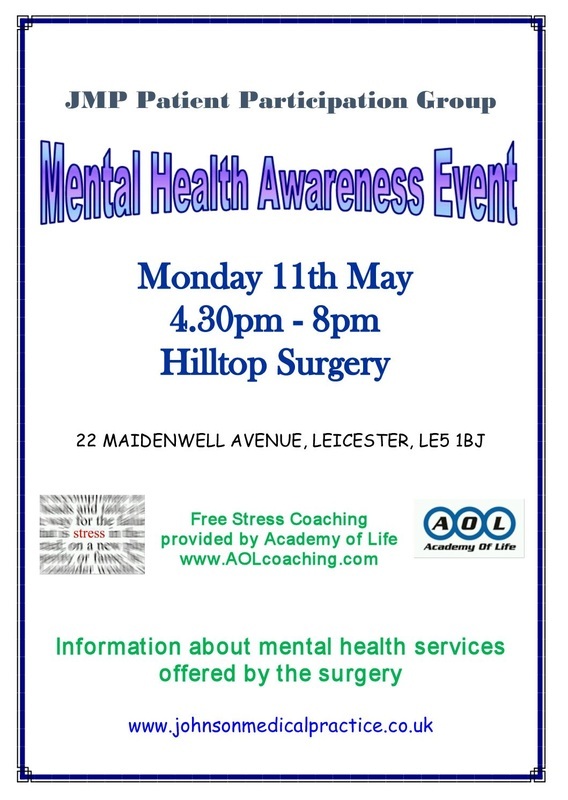 Just turn up and book at Reception - or call the patient group on 07984 470877.